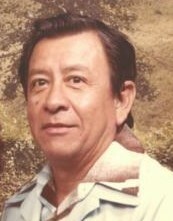 Jose Nieves Alcala was born on January 25, 1928 in Galveston, Texas to Mariano and Delfina Alcala. He passed away peacefully on February 3, 2019 at the age of 91. He is preceded in death by his wife, Rosa Arias Alcala. He is survived by his children, Yolanda, Robert, Philip, and Mario Alcala. He leaves a legacy of 10 grandchildren, 17 great grandchildren, and 2 great great grandchildren. Jose was a loving father, and he enjoyed to read. He was a Korean War Veteran, he proudly served in the US army.